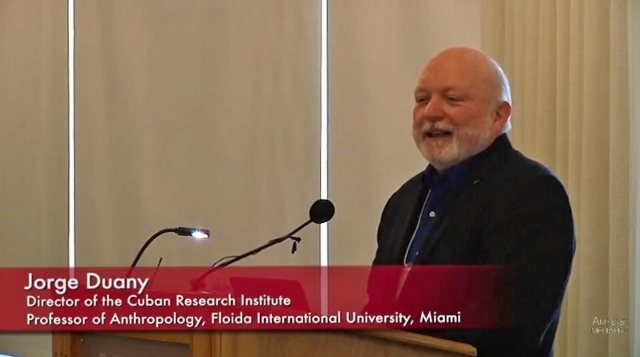 The Center for Latin American, Caribbean, and Latino Studies at the University of Massachusetts, Amherst, has invited Dr. Jorge Duany to deliver the closing keynote at the conference on "Puerto Rico after Maria: Unnatural Disasters and Community Responses." The conference will be held at the UMass-Amherst campus on Friday, March 30, 2018. The event will gather scholars, students, and community organizers from the nearby Holyoke and Springfield areas to discuss the dire predicament of Puerto Rico and its 3.3 million U.S. citizens, more than five months after a category 4 hurricane hit the island. During his intervention, Dr. Duany will summarize the results of his most recent research project on "The Puerto Rican Exodus before and after Hurricane Maria." His presentation will document the ongoing population displacement from the island to Florida, especially to the Orlando metropolitan area, which has accelerated under the catastrophic conditions in Puerto Rico after September 20, 2017. Based on the most recent census estimates and a telephone survey conducted in January 2018, the current migration flow from Puerto Rico is the largest ever recorded in the island's history. Dr. Duany's presentation will focus on how the Puerto Rican exodus is reshaping the demographic, economic, and political landscape of Florida, particularly in the central and southern regions of the state.